Do you find anything funny in the below screenshot from GMail taken after sending an email? Nope? See the line in blue. 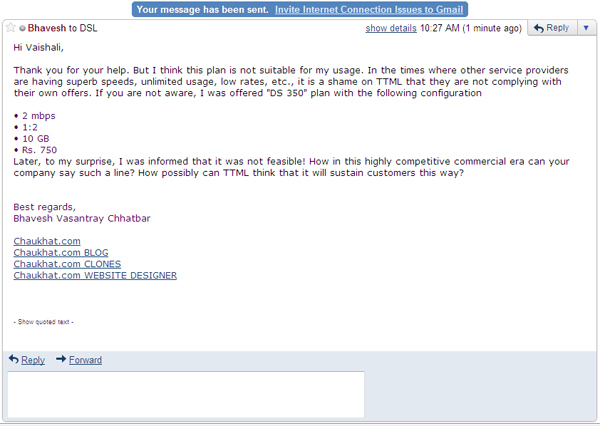 I had actually sent an email to Internet Connection Issues department of my internet service provider. GMail is asking me to invite Internet Connection Issues to GMail! Very funny. Computers will be computers :) Do you find it funny? Maybe Gmail wants to be friends with them? It actually is a bit laughable!!! This happens all the time...Gmail wants me to invite every one too!